Building custom homes and commercial buildings in Deep Creek Lake, Md for over 30 years. Located just minutes from the lake and Wisp Ski Area, Gosnell Builders have designed and built a new home nestled in the Ridgeview Valley’s hundreds of acres of private and peaceful forests and fields. We believe quality and aesthetics go hand-in-hand. A Gosnell home is constructed with materials that combine natural beauty and energy performance. 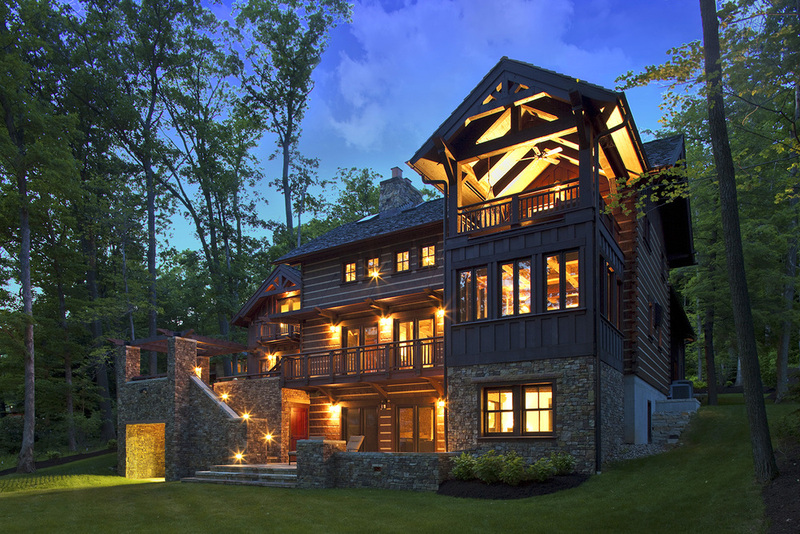 We craft homes that embrace the timeless, rustic beauty of the Deep Creek Lake area. Gosnell Builders has 30 years of experience building commercial buildings and properties in the Deep Creek Lake area. We believe that your commercial space should create an atmosphere that welcomes your customers while representing your brand. We build customer experiences for our commercial customers with the mindfulness of the Deep Creek Lake area. Our in-house design team allows us to deliver high quality custom home designs that will leverage our 30 years of building expertise. "The entire process exceeded all our expectations! Jeff and his team made things so easy, even though we lived three hours away!" Gosnell Builders offers exclusive properties in and around Deep Creek Lake while also providing completed homes available for expedited move in dates. Sign up with your email address to receive updates and new home and property listings.